Generally, any industrialist or company wanting to set up a unit in any state asks the government concerned for various concessions and exemptions related to taxes, land allotment, power and Water supply. 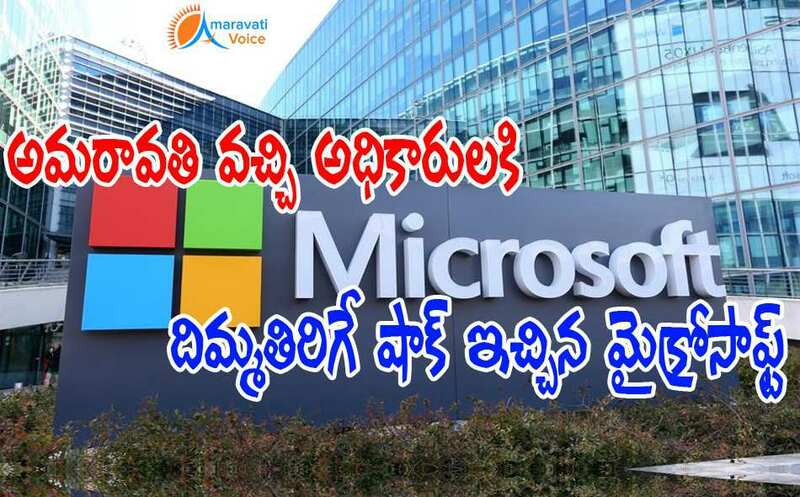 But, Officials Were Surprised over the requirements of Microsoft to set up its unit at Amaravati. Microsoft representatives met AP Chief Minister N. Chandrababu Naidu in Vijayawada two days ago. They discussed the possibilities of setting up a Microsoft unit at Amaravati, the capital city of AP. Senior officials of the AP government Were also present. Officials expected the Microsoft representatives to ask for tax exemptions, concessions in land rate and others. Surprisingly the software giant representatives asked for a swimming pool, 24x7 restaurants, golf course, five star hotels, big super bazaars and other things. They told the state government that these were required for their staff.